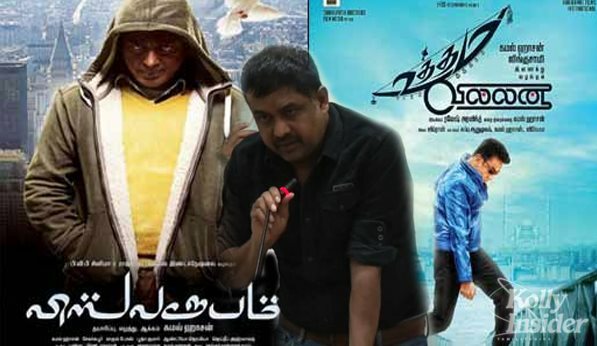 Producer Lingusamy says it is unfair to try and stall the release of Kamal Haasan-starrer "Uttama Villain" by bringing in old controversies associated with "Vishwaroopam". "It's unfair to use 'Vishwaroopam' controversy against the release of 'Uttama Villain'. Some groups have been trying to stall the release of our film for various reasons but an amicable solution has been finally reached," Lingusamy told. He confirmed "Uttama Villain" will release worldwide on May 1 as planned earlier. "Recently, Kamal sir, I and some key members of Tamil film fraternity met the groups against the release of our film. It has been decided that the 'Vishwaroopam' controversy should not influence the release of 'Uttama Villain'," he said. During the release of "Vishwaroopam", Haasan had filed complaint to the Competition Commission of India (CCI) against Tamil Nadu theater owners association for alleged "anti-competitive practices" in restricting the release of his film via DTH platform. Now, Kamal Haasan is ready to withdraw the petition, which was filed in 2013. "Kamal sir has agreed to withdraw the petition. Hence, the 'Vishwaroopam' controversy should not stop the release of 'Uttama Villain'," he said. Directed by Ramesh Aravind, "Uttama Villain" is the story of an eighth century theater artist and a modern-day superstar.